Summary: Difference Between Trackball and Joystick is that trackball is a stationary pointing device with a ball on its top or side. To move the pointer using a trackball, you rotate the ball with your thumb, fingers, or the palm of your hand. While joystick is a handheld vertical lever mounted on a base. You move the lever in different directions and press buttons to control the actions of the simulated vehicle or player. 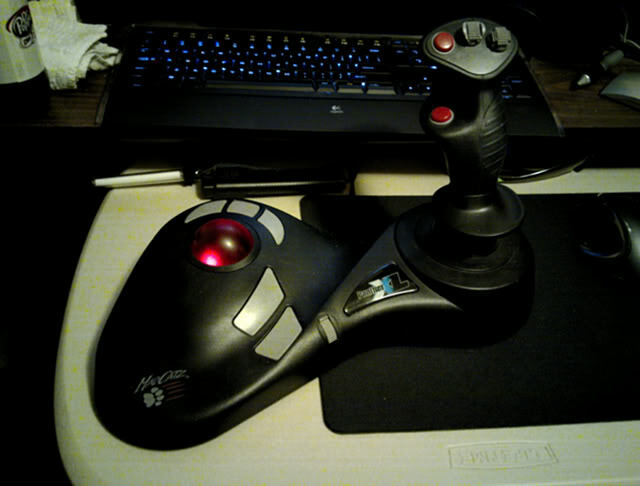 Users running game software or flight and driving simulation software often use a joystick or wheel to control an airplane, vehicle, or player. A joystick is a handheld vertical lever mounted on a base. You move the lever in different directions and press buttons to control the actions of the simulated vehicle or player. A wheel is a steering-wheel-type input device that you turn to simulate driving a car, truck, or other vehicle. Most wheels also include foot pedals for acceleration and braking actions. Joysticks and wheels typically attach via a cable to a personal computer or game console.